The project Evolved Cultural District I Cammini Lauretani is the result of the religious community desire and the territory of the Marches to increase the value of its milieu, promoting and rebuilding ancient tracks used to get to Mary’s Holy House in Loreto. The Pilgrimage, which was one of the most common ways of moving around in the past, and the Memory of ancient religious habits, have been the first elements we have considered to develop this project. 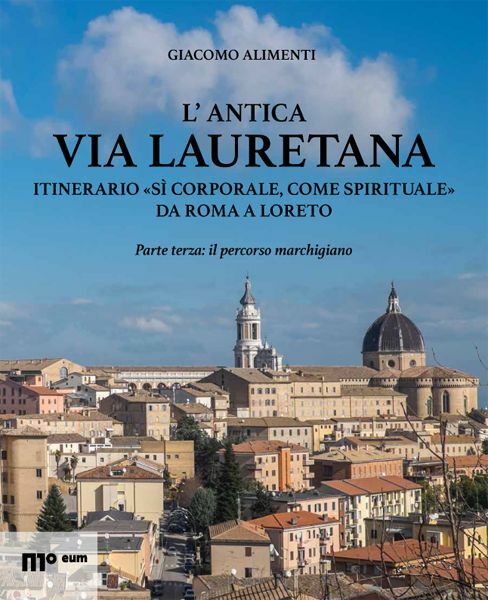 The memory of the ancient Via Lauretana, and more in general the memory of all Cammini Lauretani (Roads to Loreto), goes back to the XIII century. This means that the Cammini Lauretani have been developed in the same time as the Via Francigena and the Camino de Santiago de Compostela. The territory, the religious communities and laical institutions, some of which really cared about this topic, have had an important role in order to realize this project. During the consultations all elements involved have shared impressions, doubts, experiences and inspirations. From this background and from several approaches which unfortunately had no results, started to come out new ideas. Many people decided to collect and share researches and responsibilities and, in the end, the final idea became something real. In 2013, the Evolved Cultural District promoted by the Marches Region, in order to select new and coherent projects, stimulated the idea of creating something, whose topic was the territorial development. It managed to unify and give value to many forces put together in order to reach the goal. Mastrocola Foundation Team started to develop an idea, a particular seed of idea, which became more and more concrete and intense until the involvement of 20 new resources along which came along the Loreto Municipality and the Via Lauretana association. This was a good result by itself. The Evolved Cultural District allowed the creation of new, important partnerships so that the realization of the Cammini Lauretani was not only an idea anymore. This project, on one hand, collects a lot of struggles which lasted several years and, on the other hand, these struggles today are directed to one goal without spoil or misrepresent them. ECD I Cammini Lauretani wants the culture to be the main resource for the territorial development, the starting point for the innovative and qualified young entrepreneurship which have to be deeply rooted in its environment. The project ECD faced the challenge and identified the main cultural value in the spiritual side of the Ancient Via Lauretana. This value has been rooted in the milieu of the Marches territory, in all suburbs, villages, traditions, memorial places, cultural goods, the nature and the human work. It can be seen all around because the landscape is soaked with it. I Cammini Lauretani can be seen as the “places of soul” because they support a sense of serenity in those people who live the pilgrimage with passion and with good will. This is the aim of the whole project: to start a process of harmonic growth in all places where the Cammini Lauretani pass through and where their spiritual implications work like yeast for the territorial development.